Which is the best small car? You’re spoilt for choice if you’re in the market for a small runaround, with a huge selection of superminis and city cars vying for your attention. The most popular ones on sale in the UK are the Ford Fiesta, Vauxhall Corsa and Volkswagen Polo, while the SEAT Ibiza is our choice for first-time drivers. But what if you want something a little different? 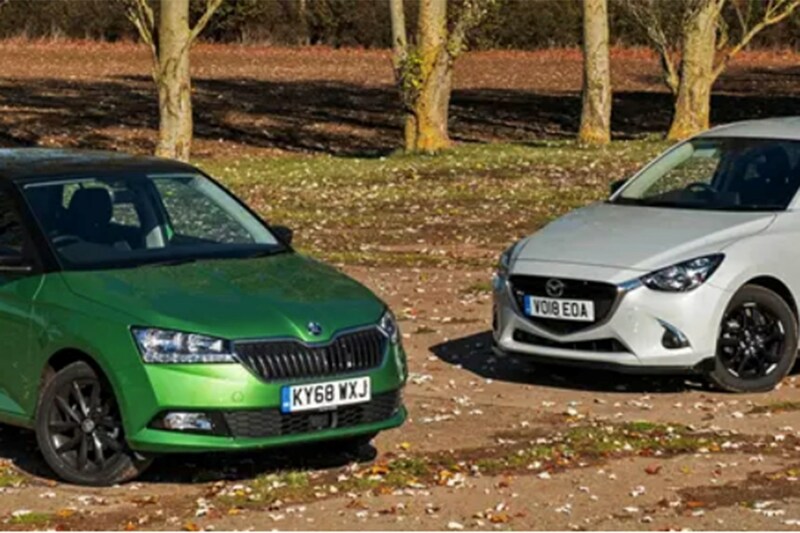 The Skoda Fabia is a practical alternative that has always represented excellent value, while the Mazda 2 is a distinctive, slightly left-field option that shouldn’t be overlooked thanks to competitive PCP finance deals. Here we’re testing the two in frugal petrol form – looking at everything from practicality and running costs to the way they drive and if they represent good value. The Fabia range is easy to navigate, made up of S, SE, SE L, Colour Edition and Monte Carlo trims. Avoid S due to its lack of kit – SE should suit most tastes, while Colour Edition and Monte Carlo are the ones to go for if you want a bit more style with bright colours and contrasting roof and wheels. SE L mixes the best combination of kit and value. In terms of engines, it’s an all-petrol line-up, and they’re all 1.0-litre units. The entry-level engine comes with 60hp (found in the smaller Citigo), while a 75hp version of the same engine is also available. The others are turbocharged with 95hp or 110hp. The highest-output engine is the only one available with a DSG automatic gearbox. The Mazda 2 range isn’t quite as easy to follow as the Fabia’s, but it’s simple enough once you pinpoint the engine you want under the bonnet. Like the Fabia, the 2 comes only in petrol form (although a diesel was available previously) – and all are 1.5 litres in size and come in 75hp, 90hp or 115hp outputs. Not all engines are available across the range, so check you can get the right combination of engine and trim to suit your needs. Trim levels on offer consists of SE+, SE-L+, SE-L Nav+, Sport Nav+, GT Sport Nav+ and Black+ Edition. Got that? To make life easy for you, stick to a mid-range SE-L Nav+ or Sport Nav+ with the 90hp engine (or the 115hp if the budget allows). Jump behind the wheel of the Fabia and a restrained design, but one that’s neat, well laid-out and easy to get used to meet you. It feels solid and robust – if a little functional rather than plush – but the seats across the range are particularly impressive with excellent support, some nice designs and plenty of adjustability, so most will find it easy to get comfortable. The infotainment system is up-to-date and easy to use, although it’s set into the dash more than rivals’ systems may be and with a smaller screen than most. However, it’s slick and user-friendly, while the air-con controls below are simple and fuss-free. The Mazda couldn’t feel more different to the Fabia inside. The dash design is pared back with a screen protruding from the dashboard, controlled either via touch or a rotary wheel between the front seats, while a strip of fabric or plastic (depending on the model) spans the width of the dash. It looks expensive, but there are several different materials used, and lower-spec models can feel a little plasticky in parts. The infotainment screen looks dated, too, although it is easy to operate. 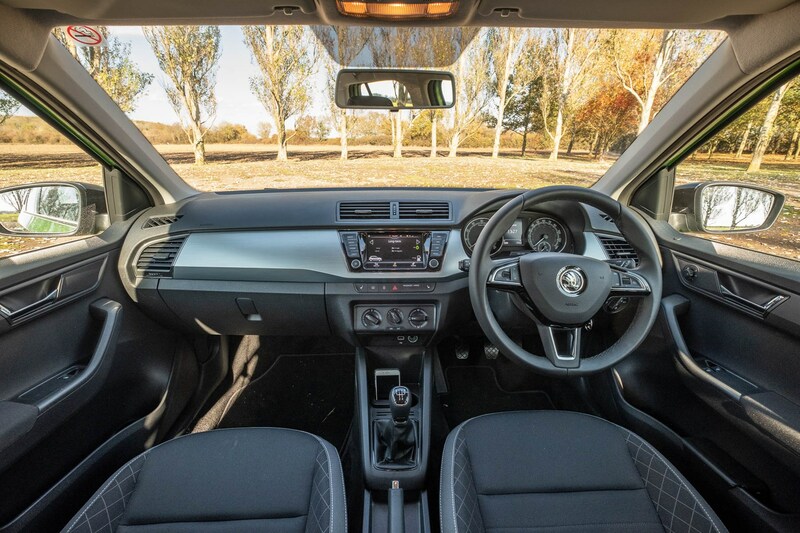 Inside, the Skoda feels the more spacious of the two cars thanks to bigger windows and lots more extra cabin storage throughout. Up front there’s plenty of space for driver and passenger – even the tallest ones – while rear-seat space is also impressive for such a small car. 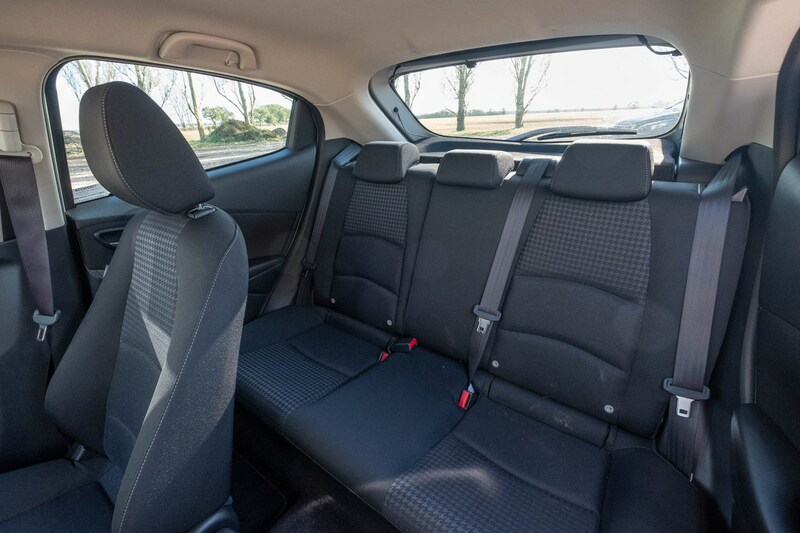 The seat base is angled higher which means passengers’ legs are given more support, while the larger rear windows and higher roof line make it feel less claustrophobic too. 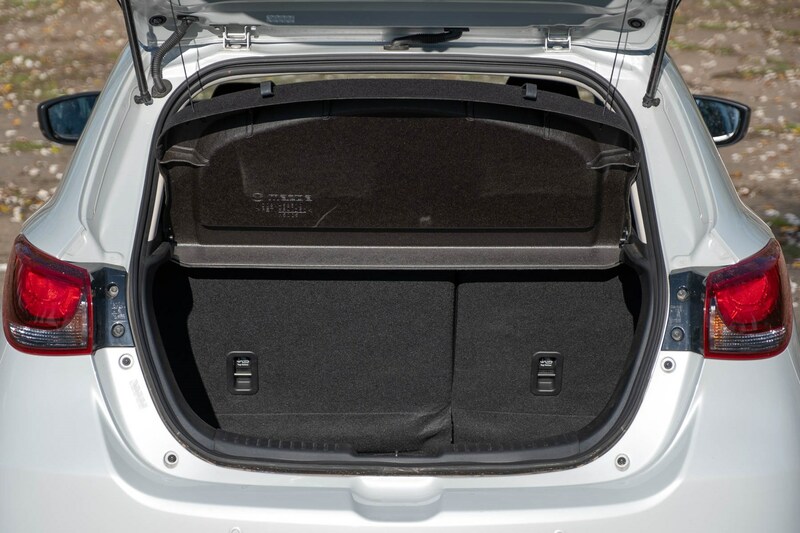 The boot is a generous 330 litres, accessed via a well-shaped tailgate. 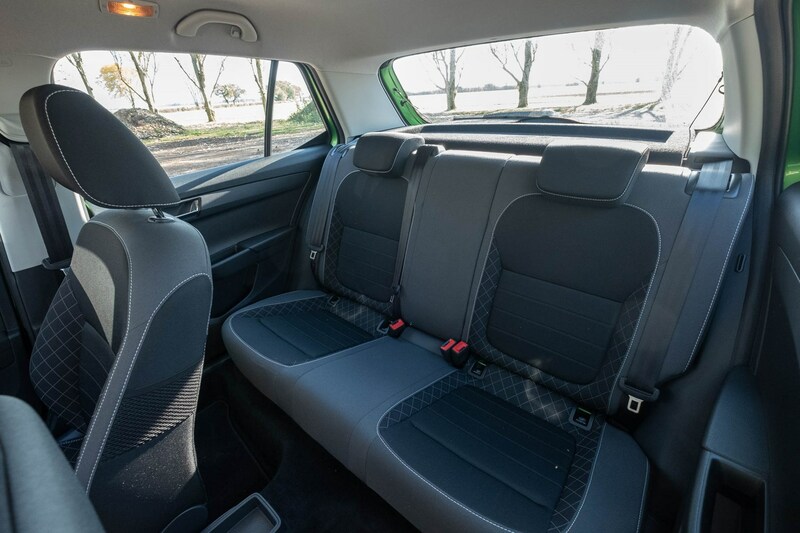 You can also add extra bits of ‘Simply Clever’ features to make the inside of the Fabia more versatile too, such as smartphone holders or a bin to go in the door pocket. The Mazda’s practicality credentials aren’t quite as impressive as the Skoda’s. 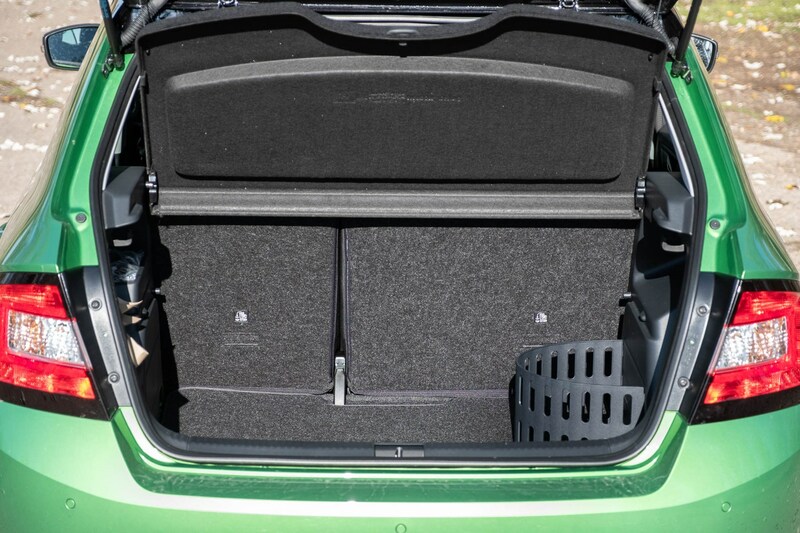 Extra storage spaces are lacking when lined up next to the Fabia, and it doesn’t feel quite as roomy inside. There’s plenty of space up front, but a more sloping roofline and angled rear windows make it feel tighter in the back, while the boot is noticeably smaller and not as easy to get to. It’s well shaped, but the loading lip is high, the seats don’t fold flat and the bootlid itself is a less practical shape than the Skoda’s. 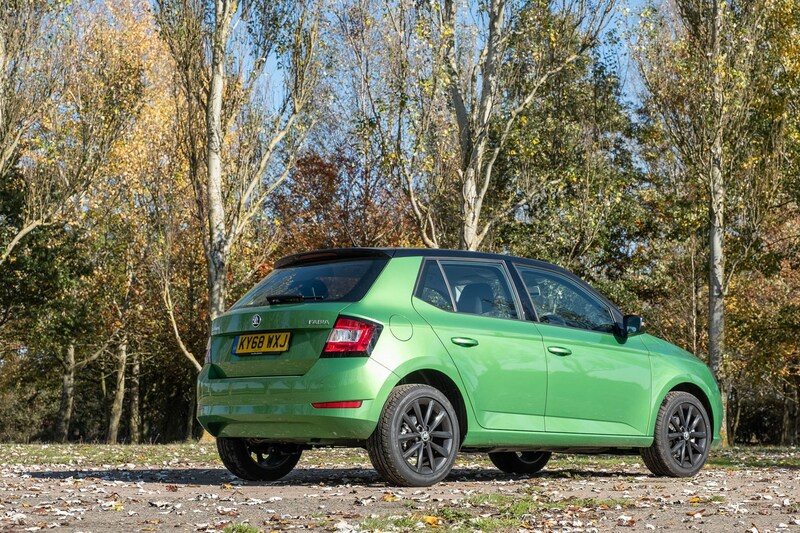 The Fabia is an incredibly easy car to drive thanks to a spot-on driving position, good visibility and lightweight controls. The steering wheel doesn’t feed back much information to the driver, but this isn’t designed to be a sports car. As such, around town the Fabia is very easy to operate and the ride is impressive. However, out of town it’s predictable and refined, if lacking in any enjoyment like you’ll find in a Ford Fiesta. The 1.0-litre TSI engine is the pick of the range, feeling more eager and punchy than you might expect, while the gearshift is light and positive. At speed, it remains refined, too. The Mazda is the more enjoyable of the two superminis here. While not as fun as a Fiesta, the impressive body control and communicative steering (which is heavier than the Skoda’s) means it’s more fun on a twisty road, but equally at home around town. Visibility isn’t quite as good as in the Fabia, but it too is refined and easy to drive, while the ride is also impressive, if not as cossetting as the Skoda’s. The 1.5-litre engine needs working harder than the turbocharged Skoda, but it's very smooth in the way power is delivered, while the gearbox is especially pleasant to use. It can get quite noisy at higher revs, but it settles down at cruising speeds. 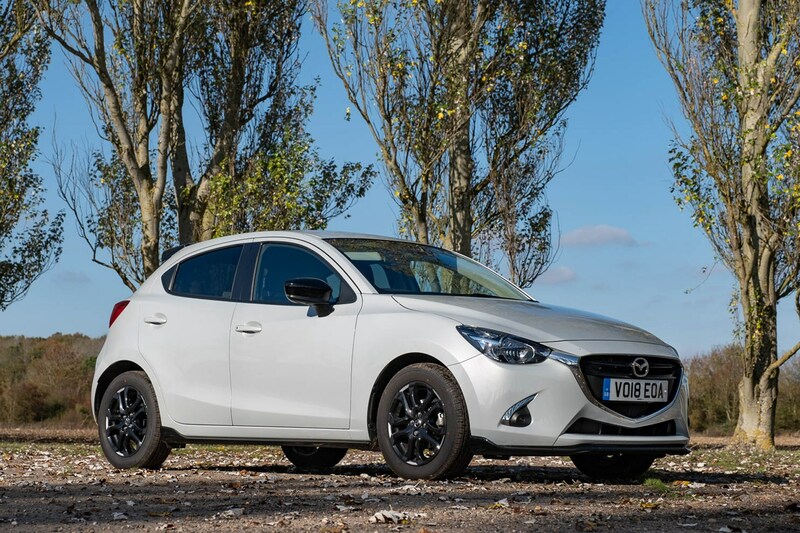 Mazda walked away with the award for Best New Car Finance in the Parkers New Car Awards 2019, and the value the Mazda 2 represents demonstrates this. 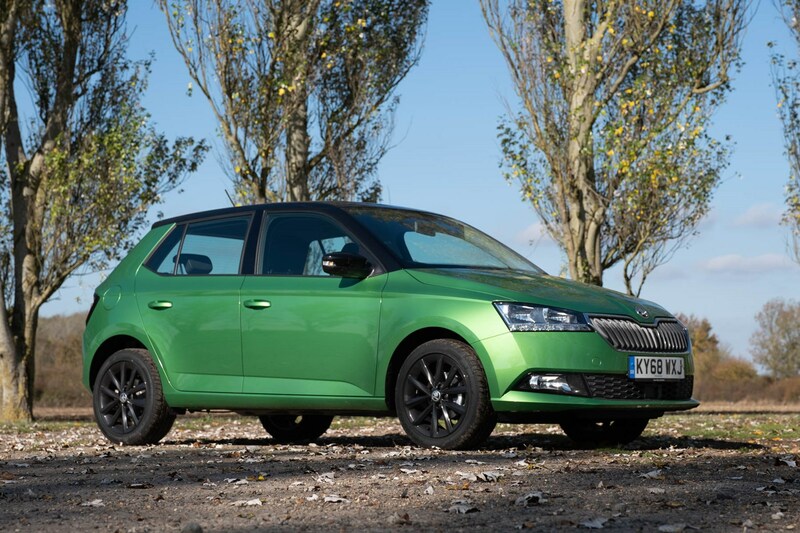 A mid-range 1.5-litre 90hp SE-L Nav+ model comes in at £227* per month compared with a £242-per-month* Fabia in 1.0 TSI 95hp SE L form. However, to get the performance of the Mazda, you’ll actually want to look at the 110hp Fabia, which takes the monthly cost up to £255*. 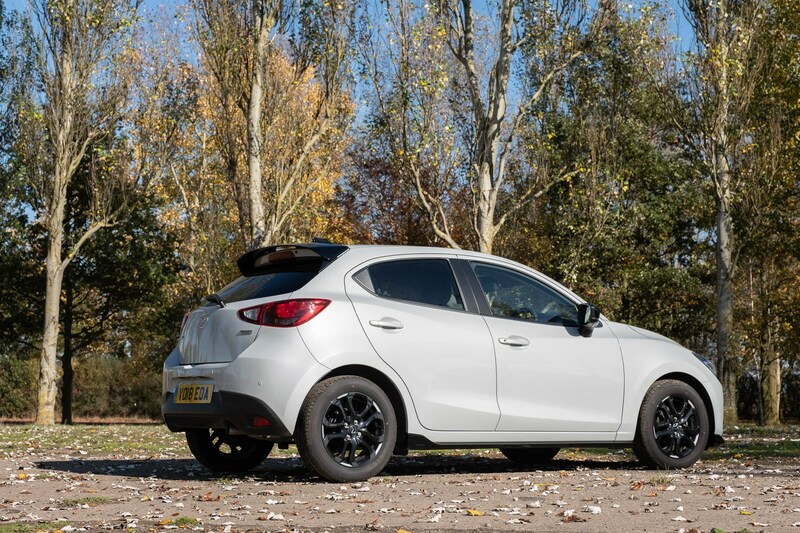 At this price, you can actually get yourself behind the wheel of a top-spec Mazda 2 GT Sport Nav+ with punchy 115hp 1.5-litre engine and an extensive list of standard equipment including leather upholstery, a head-up display and heated seats – for £5 less per month at £250*. 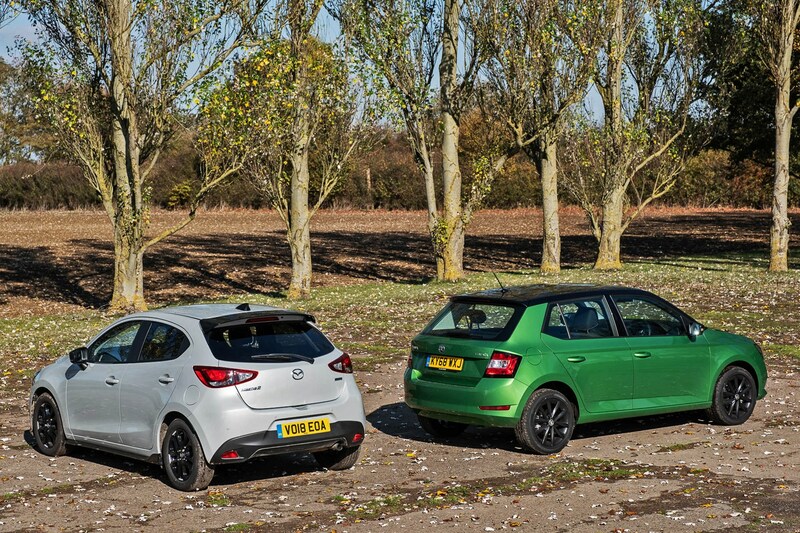 In short, the Mazda represents excellent value next to the Skoda across the 2 range. *Prices are based on £1,000 customer deposit, 10,000-mile annual limit over 36-month contracts. 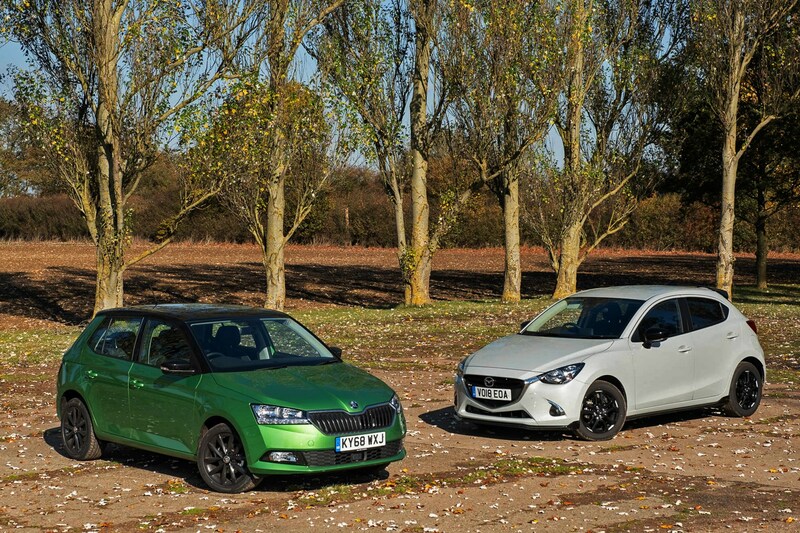 Before you look at finance costs, the Fabia wins this test due to its superior practicality over the Mazda. The spacious interior is versatile and well-built, while everything is logically laid out and very easy to use. 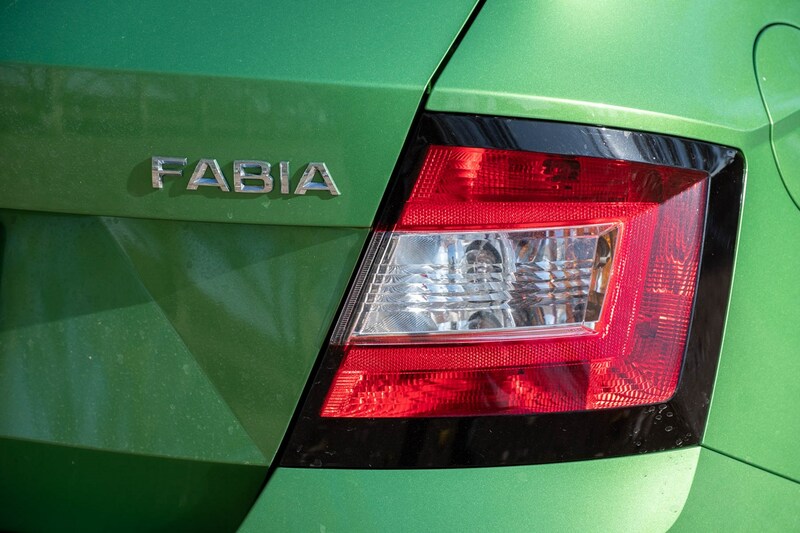 The Fabia would make life very easy day-to-day. 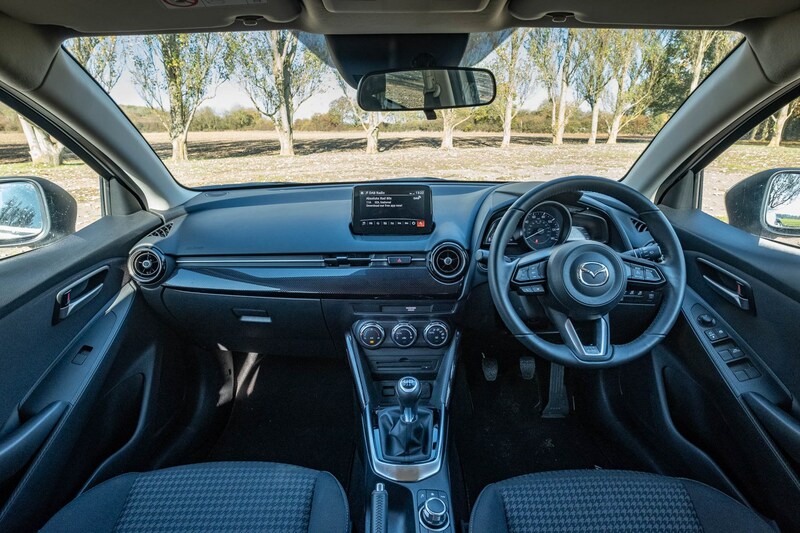 While the Mazda is by no means a bad supermini, it just misses out in a few important areas next to the Fabia - you have to work the engines harder than in the Skoda and quality is lacking in a couple of places, plus its infotainment system is a little dated. 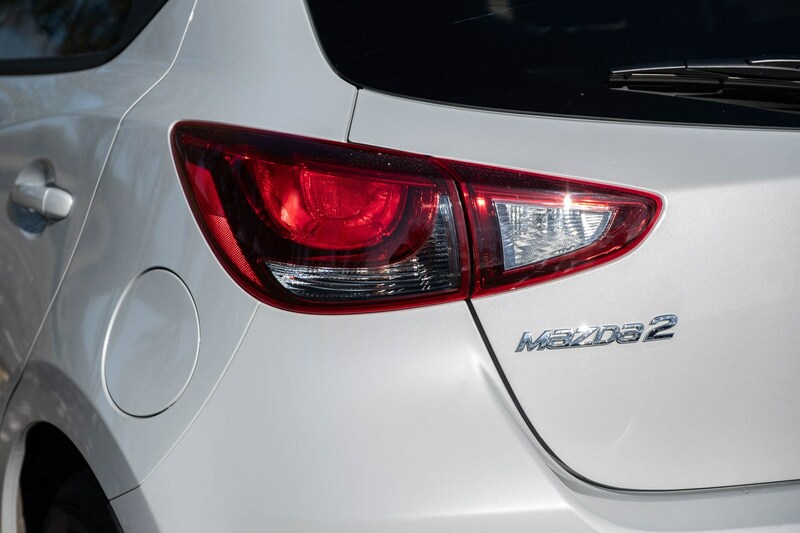 However, the Mazda represents excellent value and feels nicely different without too many compromises. If you don’t need the practicality of the Skoda, it’s well worth a look.